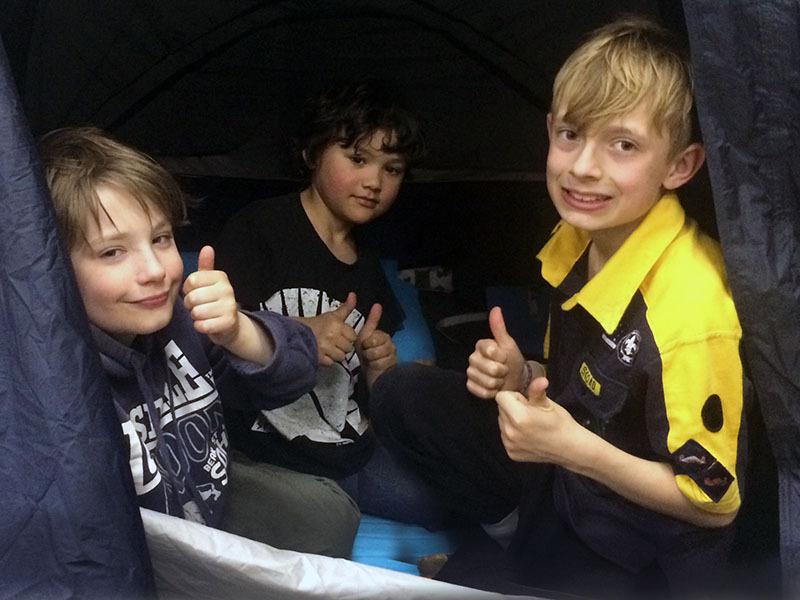 For some of the Cubs, this was their first overnight activity and a gentler introduction to a night in the cold outdoors. 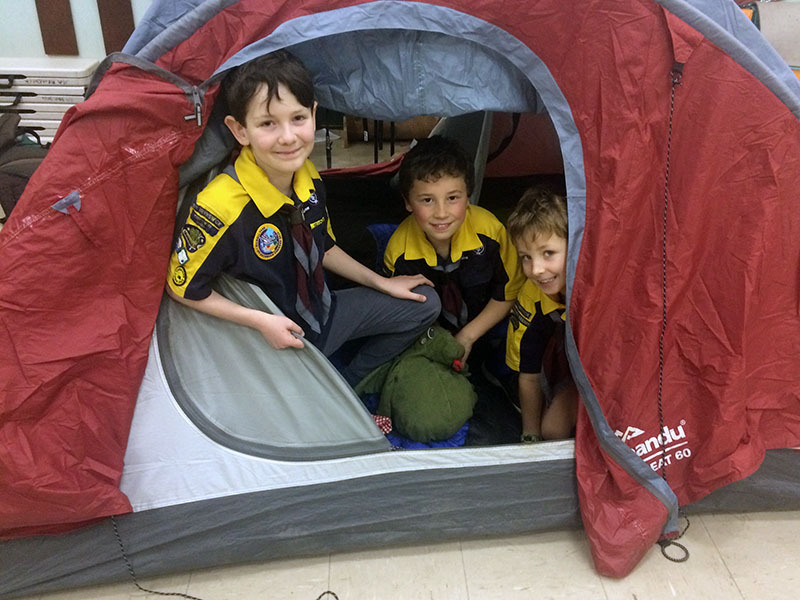 They arrived at the hall from 7pm onwards to immediately begin setting up their tents with some help from Akela and Hathi and a couple of parents. 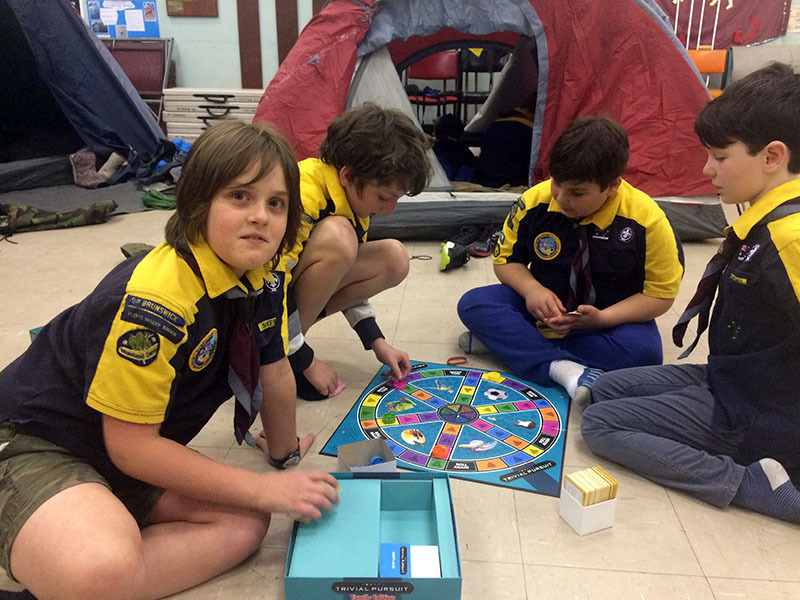 Once the tents were standing and the sleeping mats and bags unrolled, the Cubs brought out the games and books they had brought with them. There was a late supper of marshmallows and Milo around the fire, with bedtime not until 11.30pm. 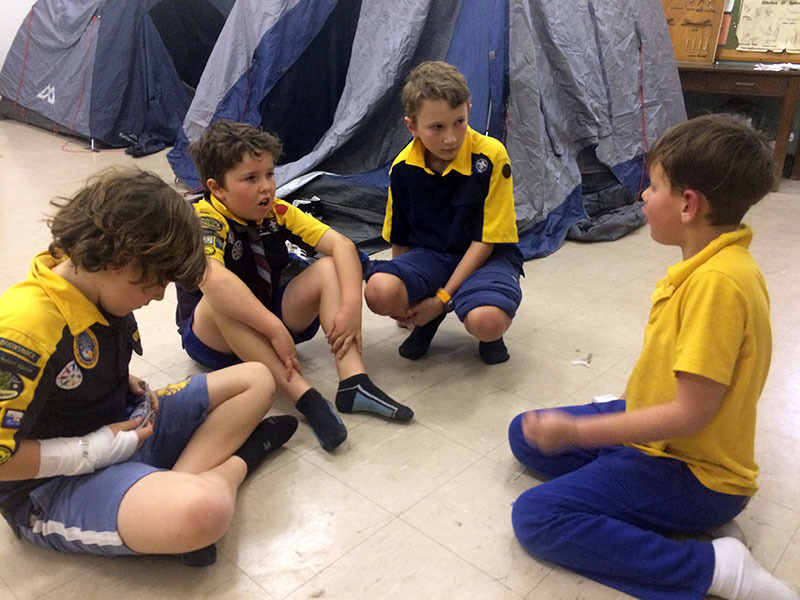 Next morning, the Cubs helped the leaders prepare breakfast and then packed up their sleeping gear and tents. If this sounds like fun to you, then investigate more about our Cub pack and contact the group to be involved.